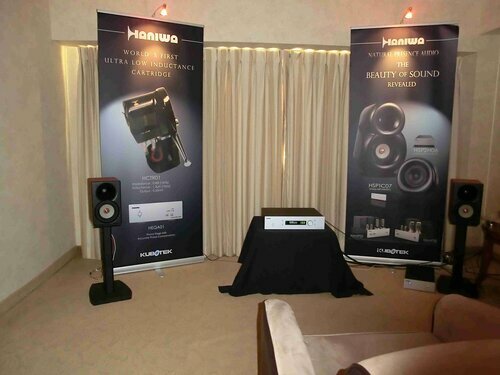 Well, I would say this CES was very low on decent sound. Sometimes I had to fight with the urge to leave a room or two immediately after hearing a few bars of music being played. Still the hope is not lost. At a fringe show at the Flamingo hotel (THE Show) there was a very promising sound from an unexpected to me source: Kubotek/Haniwa. This Japanese company introduced their new MC-cartridge, claiming extremely low inductance (a few microhenry). There was a rumour of very low output too. 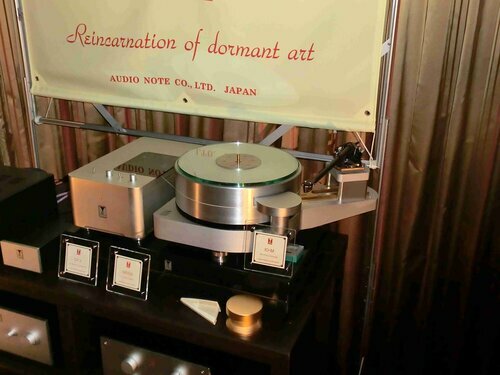 Funny thing was that while the cartridge was in the room and was mounted on an incredibly cheap looking acrylic Clearaudio turntable, the turntable was not connected to the playback system. Why? 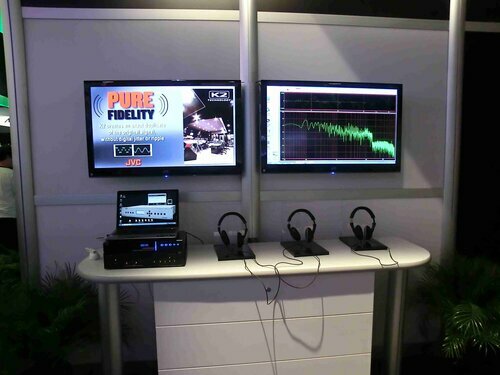 Because Kubotek demonstrated their new speakers: small minimonitors, active, digitally corrected and crossovered. My bias is naturally against such things, nor I had any good premonitions when I saw that the source was a notebook computer linked to a DAC. And guess what? The sound was good! And they played a vynil rip from the computer! Bit of a surpise, huh? The good thing in sound was natural ease of timbre, flow and 'language'. Still it was not completely to my liking since there was also a certain shalowsness of intent and conent, if you see what I mean. Good rooms at the Venetian were Lamm's at usual. Kondo also was great, at least while playing vynil: I didnot listen to digital there. PS. I'll post a few photos a bit later.